Air services provider dnata has agreed to purchase Qantas’s catering businesses for an undisclosed sum. The transaction, announced on Wednesday, involved Qantas selling its Q Catering (based in Brisbane, Melbourne, Perth and Sydney) and frozen food maker Snap Fresh (based at Logan City in Queensland) to the Emirates Group-subsidiary dnata. Qantas Domestic chief executive Andrew David said the sale would support efforts to “prioritise investing in the airline”. “We’ve always said that we would explore the sale of certain assets where it makes sense, just as we’ve done before, including with the sale of our catering facility in Cairns and Qantas Defence Services,” David said in a statement. Qantas has been active in selling some of its non-airline assets in recent years. In July 2012, Qantas sold its Cairns and Riverside (in Sydney) catering facilities to Gate Gourmet. As a result of that sale, Qantas no longer provided third-party catering services in Sydney. The airline group also offloaded its 50 per cent share of parcel delivery company StarTrack to Australia Post in that year. Then in 2013, Qantas sold its wholly-owned subsidiary Qantas Defence Services (QDS), which provides maintenance and engineering services on aircraft and engines to government and military customers and engineering consultancy services to the naval industry, to Northrop Grumman Australia for $80 million. In 2014, the company closed its Adelaide catering facility. And in 2015, Sydney Airport paid Qantas $535 million to buy back the airline’s lease over Terminal 3 that was due to expire on June 30 2019. At the time, Sydney Airport said Terminal 3 would be a common use terminal from mid-2019, with Qantas retaining priority usage over the facility through to 30 June 2025. The sale also included an agreement for dnata to supply catering for Qantas flights for an initial 10-year period, while the airline would continue to work with key suppliers in menu design and development such as Neil Perry’s Rockpool. “Customers will continue to enjoy Qantas’ premium service, including unique Rockpool-designed menus for First and Business passengers, showcasing the best of Australian produce for millions of travellers each year,” David said. Qantas said dnata already supplied inflight catering for its flights out of Adelaide, Canberra, Johannesburg and London. dnata divisional senior vice president of catering Robin Padgett said the acquisition of Q Catering and Snap Fresh reflected the company’s “confidence in Australia as a market and the ongoing growth potential into the future”. 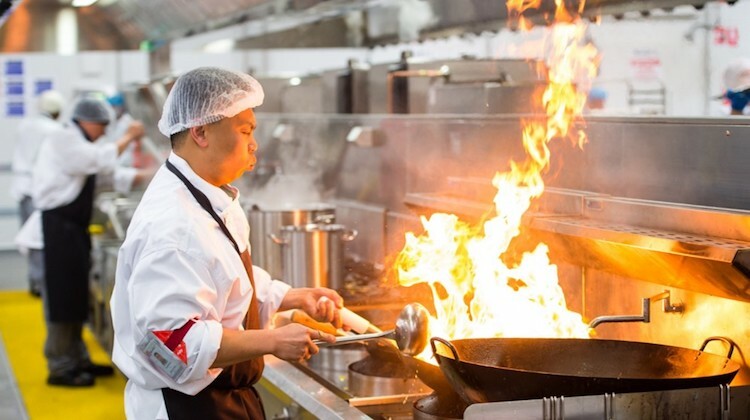 “By combining dnata’s network strength and international talent with Qantas’ domestic catering expertise, this will allow us to further grow our presence and deliver catering excellence to more customers across Australia than ever before,” Padgett said. Qantas said about 1,200 Q Catering staff would become part of the dnata operation, which has 11 catering facilities in Australia, once the sale was completed. The deal required Australian Competition and Consumer Commission (ACCC) approval. When Qantas and Emirates established their global alliance in 2013, the two parties told the ACCC in their application there was “no intention for any coordination” between the dnata’s catering operations (then known as Alpha Flight Services) and Q Catering. “The applicants are therefore willing to exclude coordination between catering and aircraft cleaning operations from the scope of the Application in order to seek to allay issues raised by interested parties,” the pair said in its 2013 application. VIDEO: A look at dnata’s global catering business, from the company’s YouTube channel.